The letters [of Analyzing Freud] reveal two complicated, appealing, highly intelligent women; give us a sense of Vienna at a time of great political upheaval and danger; and present Freud in close-up, as observed by the awed yet canny H.D…. Susan Stanford Friedman proves herself to be an excellent editor––scrupulous and thorough. Breezy, informal, irreverent, vibrant in detail, H.D.’s letters to her companion, Bryher, revolve around her 1933-1934 therapy sessions with Sigmund Freud, from which she emerged reborn. 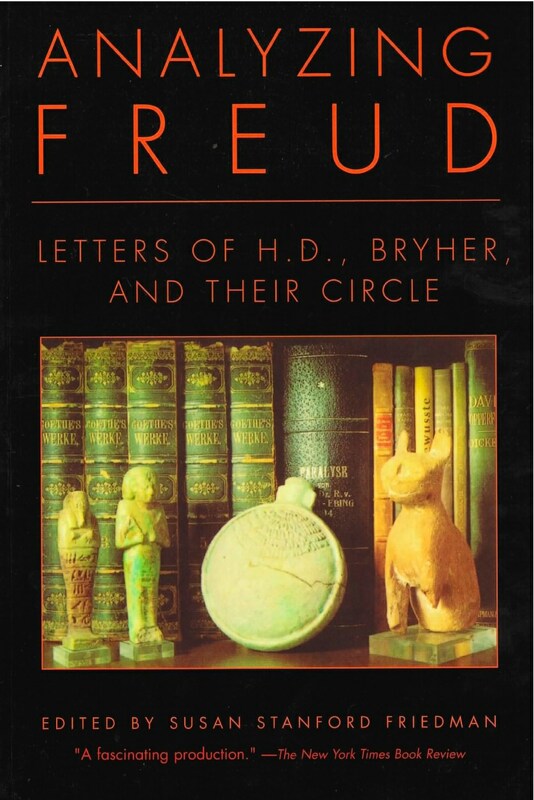 “A correspondence that tells us more about Freud as a clinician than any other source” (PsyArt), this volume includes H.D.’s and Bryher’s letters, as well as letters by Freud to H.D. and Bryher, most of them published here for the first time. In addition, the book includes H.D.’s and Bryher’s letters to and from Havelock Ellis, Kenneth MacPherson, Conrad Aiken, Ezra Pound, and Anna Freud, among others. Taken together, the 307 letters in Analyzing Freud, introduced and fully annotated by Susan Stanford Friedman, comprise a fresh, compelling portrait of H.D., and her analyst, Freud.